Amsterdam will see an extra five flights a week from Dubai by Emirates Airlines thanks to the strong and growing market demand the gulf carrier confirmed this week. These additional flights are to complement the existing double daily services Emirates currently operate to the home hub of KLM and offer an earlier departure option from Amsterdam that is perhaps more convenient for visitors to Dubai, as well as providing enhanced connectivity to more destinations on Emirates’ vast global network. It is envisaged that the four additional weekly services will start from 1st December this year and the fifth will be added a month later on 1st January 2019. Then the airline will operate 19 weekly flights to the Dutch capital. According to the new schedules, the outbound, flight EK145 will depart early morning from Dubai on Mondays, Wednesdays, Fridays, Saturdays and Sundays, to arrive at Amsterdam's Schiphol Airport in time for breakfast. The flight schedule is conveniently timed for passengers connecting from Emirates global route network to Amsterdam and will be popular for business travellers to the Netherlands from places like Johannesburg, Cape Town, Sydney and Bangalore as well as for Dutch leisure travellers returning to Amsterdam from Bangkok, Bali, Mauritius, Maldives and Sri Lanka. The return service, EK146 will leave late morning to arrive in Dubai in the evening adding more convenience to those visiting Dubai, and offers enhanced connectivity to Phuket and Johannesburg. 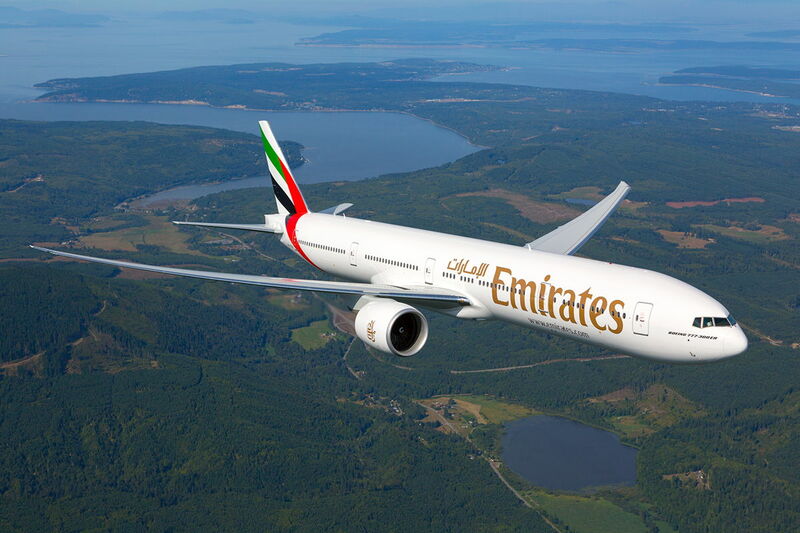 The new service will be operated by an Emirates Boeing 777-300ER in a three-class cabin configuration, with eight private suites in First Class, 42 lie-flat seats in Business Class and 310 spacious seats in Economy Class. This complements the two existing services between Dubai and Amsterdam, flights EK147/EK148 and EK149/EK150, operated by an Airbus A380. Customers on Emirates flights can enjoy award-winning service and hospitality from the airline’s multinational cabin crew, including Dutch nationals, an in-flight entertainment system with up to 3,500 channels and up to 20MB complimentary on-board Wi-Fi, LIVE TV, as well as regionally inspired meals on-board prepared by award-winning chefs. Families with young children are also well cared for with special services and products to ensure a comfortable and enjoyable flight experience, from free toys to kid’s meals, entertainment and priority boarding. First Class and Business Class customers can take advantage of a complimentary chauffeur driven car to and from both Dubai and Amsterdam airports.